Canoe on a pristine mountain lake surrounded by rainforest! 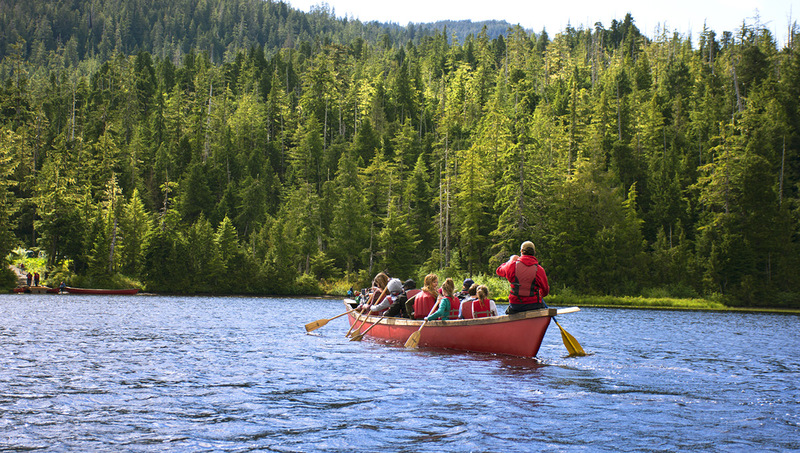 Tour includes round trip transfer from the dock to the mountain lake; two hours canoeing, which includes the nature walk; snack and beverages consisting of clam chowder, rolls, jam, smoked salmon, crackers, mints, juice, hot chocolate, coffee and water; and a souvenir “I Canoed Ketchikan” pin. All participants are provided with ponchos and life jackets. Souvenir T-shirts are available for purchase. 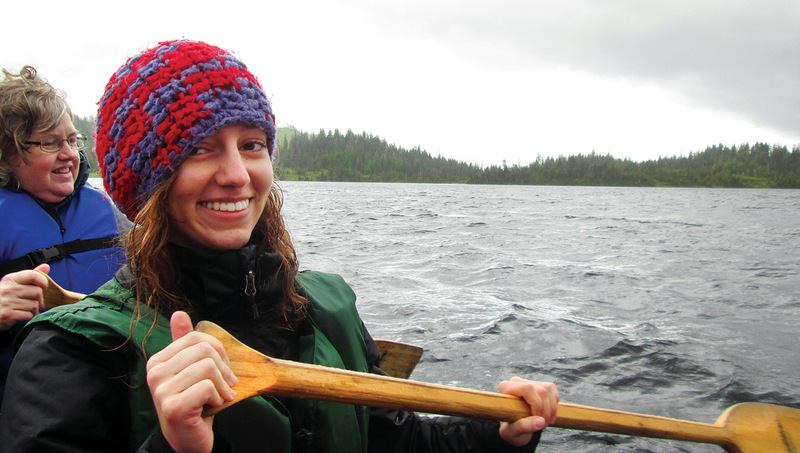 A scenic motorcoach tour will lead you to a secluded mountain lake, surrounded by the Tongass National Forest. Lake Harriet Hunt, part of lush rainforest, is ideal for canoeing. 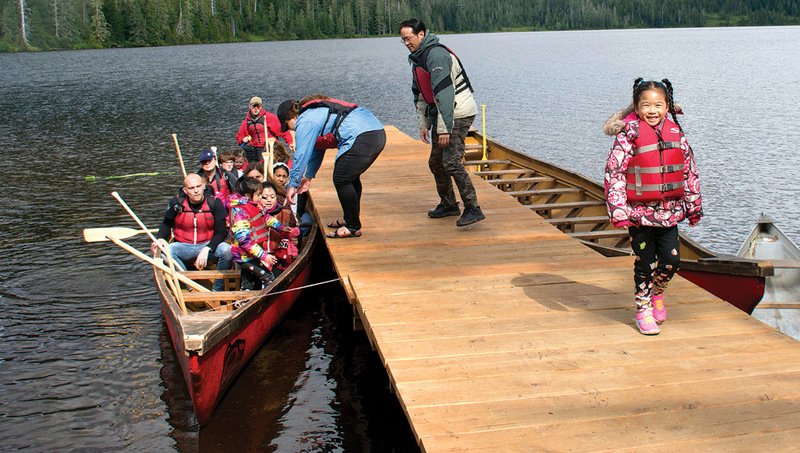 Your Alaska Native-style, 37-foot, 20 passenger canoes are fast, stable, and easy to maneuver. 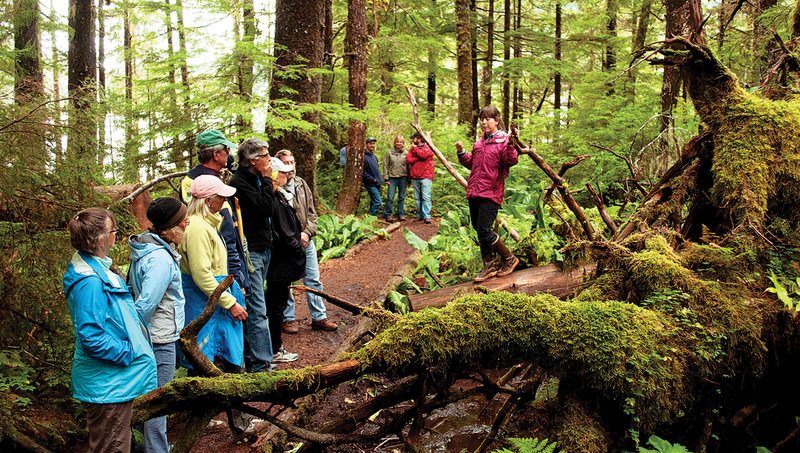 An experienced guide will interpret the unique ecosystem and cultural history of the Ketchikan area while you scan for wildlife. 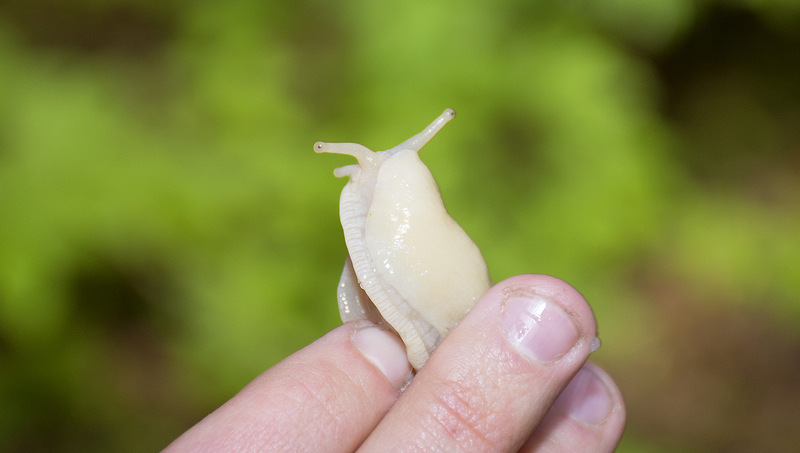 Stop ashore for a Alaskan-style snack at a remote camp where your guide will lead you on a short nature walk highlighting the flora and fauna of the rainforest. Notes: Dress warmly in waterproof layers in inclement weather. Suitable for all ages and no prior experience necessary. Children 12 and under to be accompanied by an adult. Children ages 13-17 must have a signed parental consent form to participate in the absence of a parent or guardian. Children must weigh at least 40 pounds in order to fit into required life jackets. 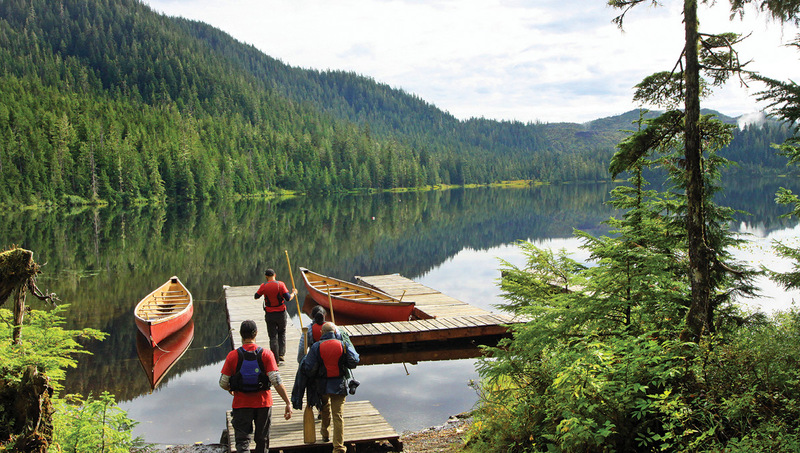 The adventure begins with a scenic motorcoach tour to a secluded mountain lake nestled within the Tongass, the nation’s largest national forest. 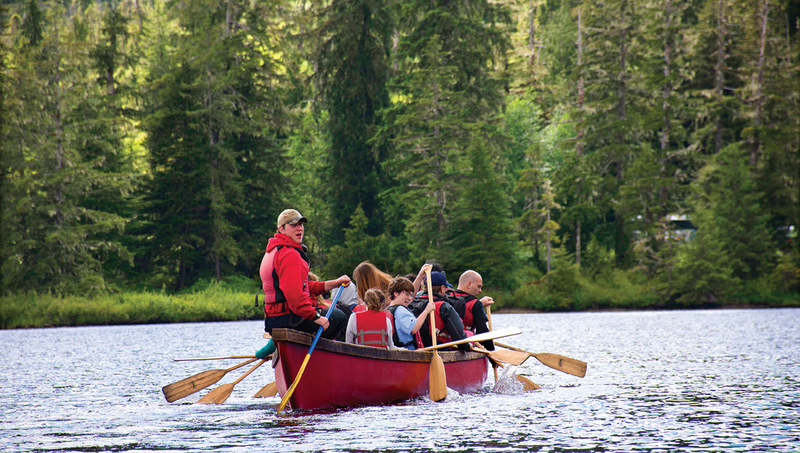 Board authentic Alaska Native-style canoes; these 37-foot, 20 passenger, traditional Alaskan canoes are fast, stable, and easy to maneuver. 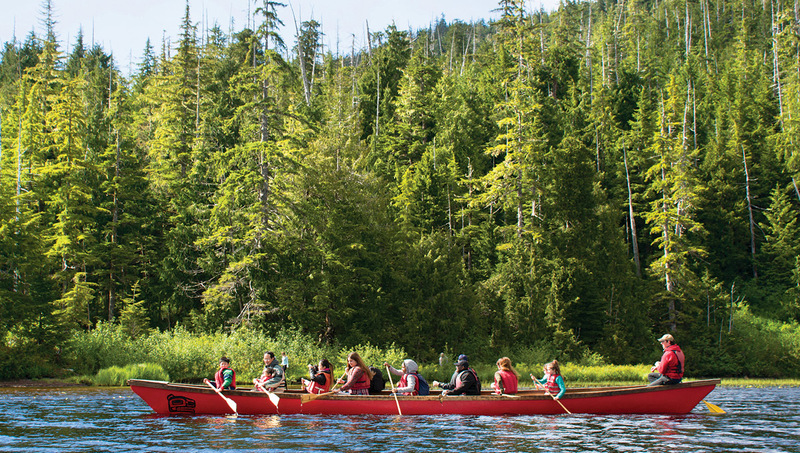 Paddle through lush rainforest under the direction of an experienced guide while scanning the shore for wildlife and learning about the unique natural and cultural history of the Ketchikan area. Stop ashore for an Alaskan-style snack. 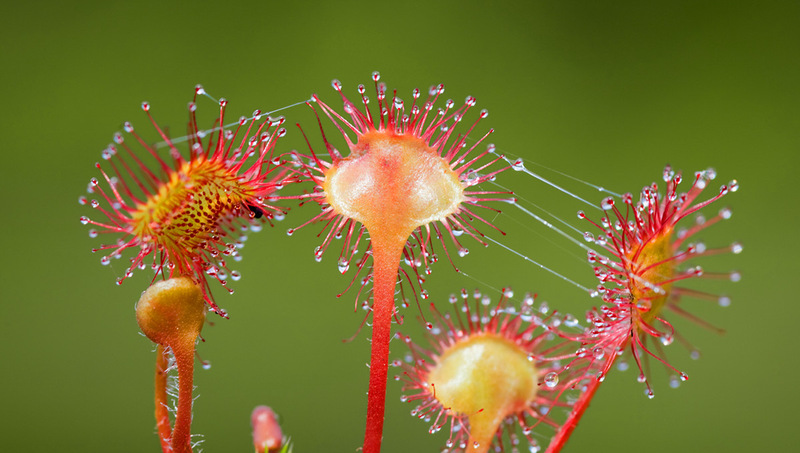 A knowledgeable guide will lead a short nature walk highlighting the flora and fauna of the rainforest, including a carnivorous plant, the Sundew, which uses tentacles with an adhesive “dew” to ensnare small insects. Finally, paddle back to the canoe dock to reboard your motorcoach, returning to the cruise ship pier.